*If you choose free shipping at checkout the 10% discount will automatically be removed. *The 10% off coupon is not valid with eligible Free Shipping. *When/if the 10% coupon does not function for your product selections those products are not eligible for the coupon per manufacturer restrictions, in such cases you can obtain FREE SHIPPING for your order but other discounts are, unfortunately, not allowed. 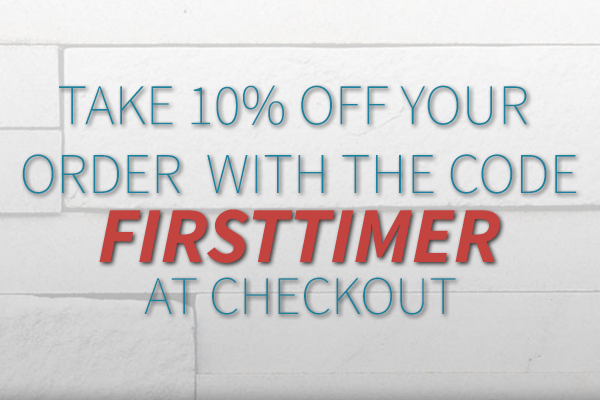 *You are always welcome to use the 10% coupon at a future date for eligible manufacturer products. *10% discount only valid for first time customers and is limited to one use per customer.